As the name suggests, this fun recipe gives you a new way to eat a salad. Grab a packet of mushrooms, a red onion, a green bell pepper, cherry tomatoes and zucchini. Break the stems off the mushrooms and slice up the other ingredients. 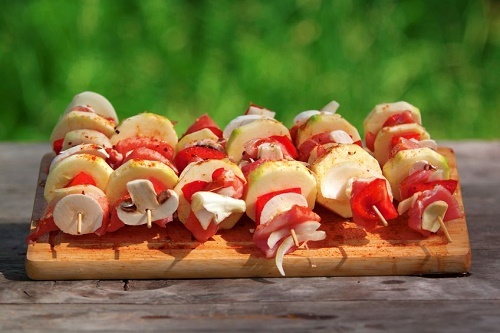 Place them on metal skewers, season them with salad dressing, salt and pepper and cook on a grill for 5 minutes.